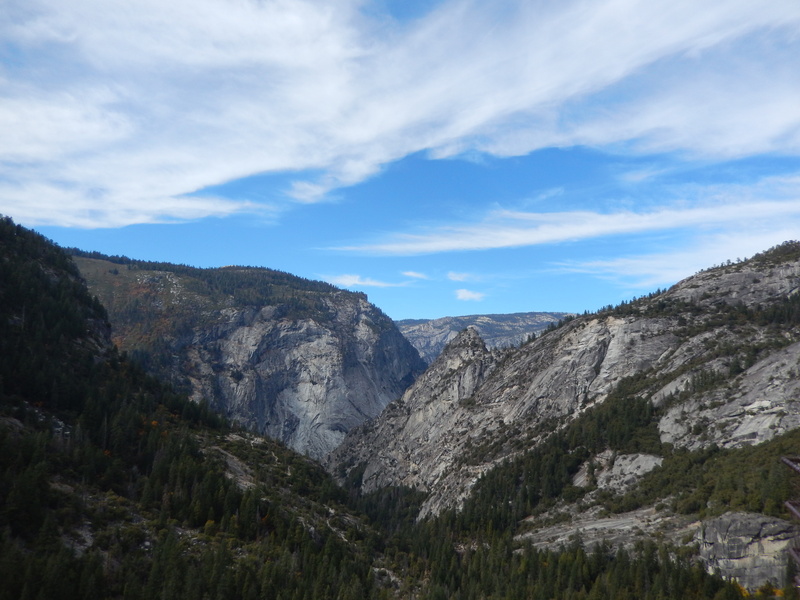 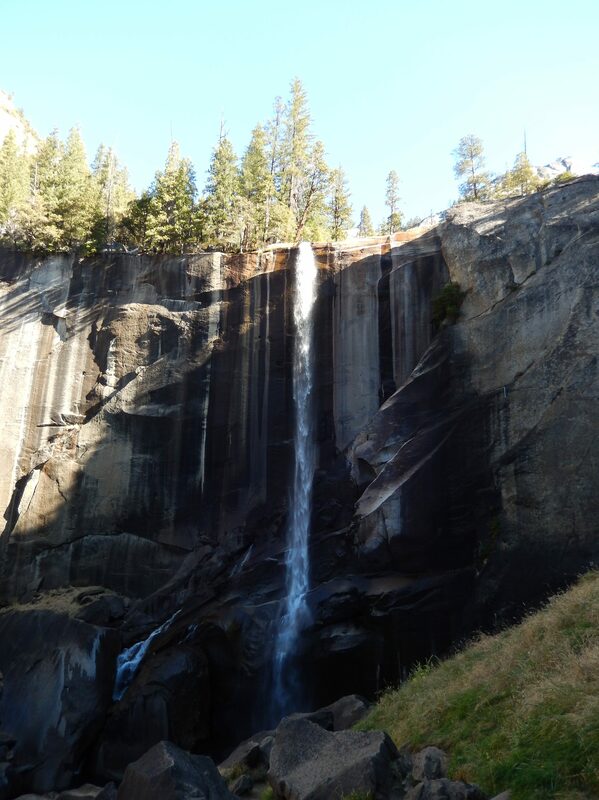 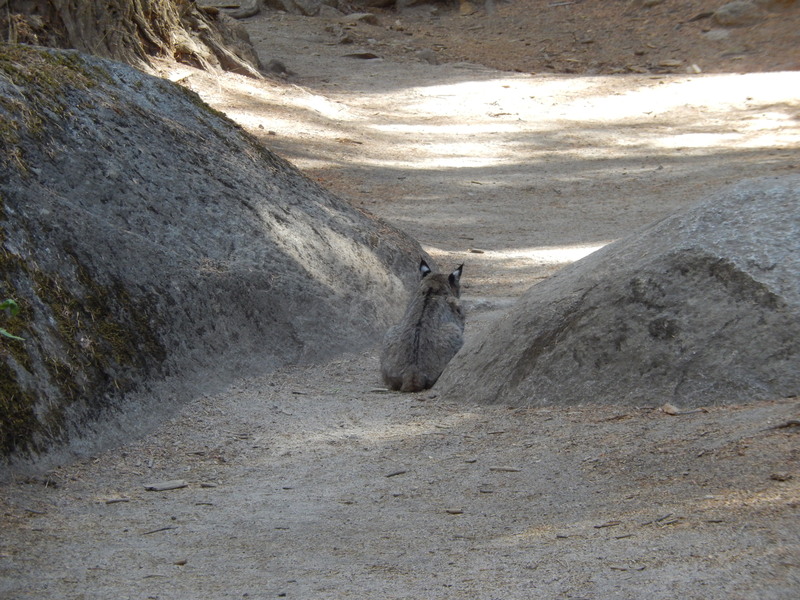 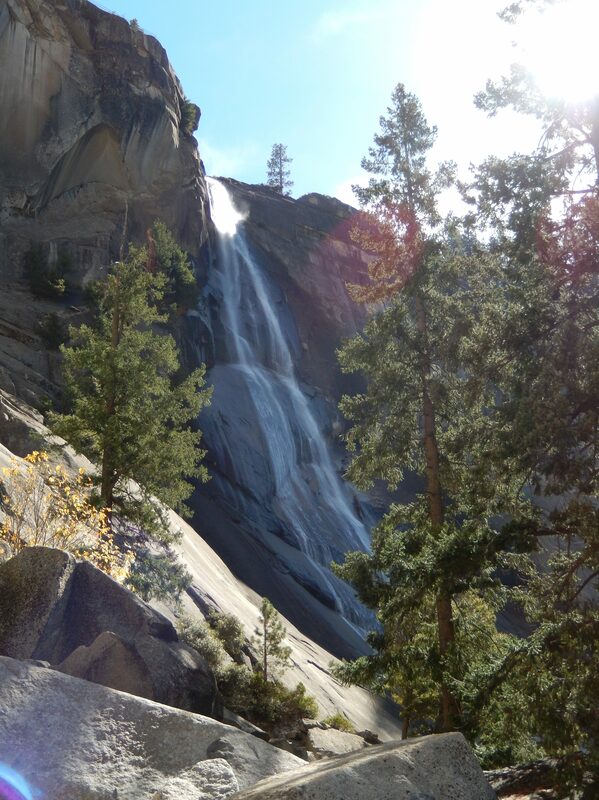 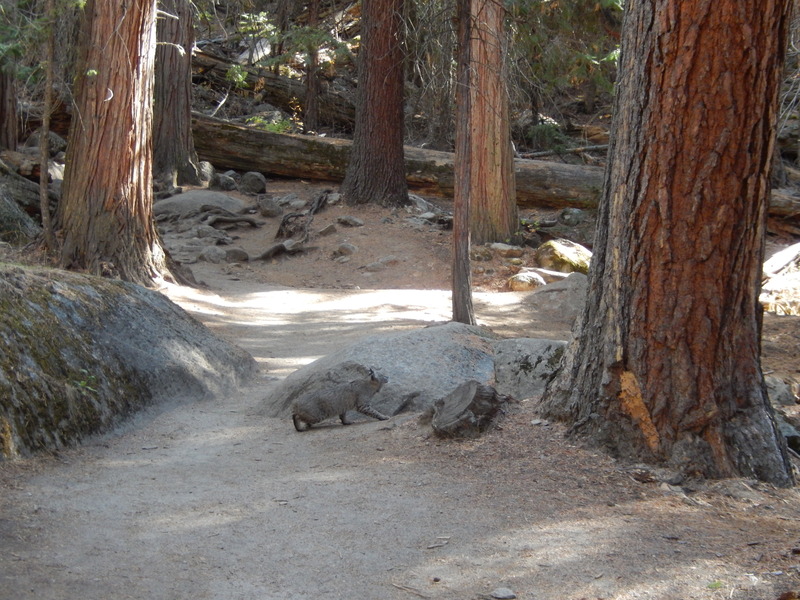 I saw the little one on the Mist Trail, surprised that it, too, was hiking up to see the falls: Vernal and Nevada. 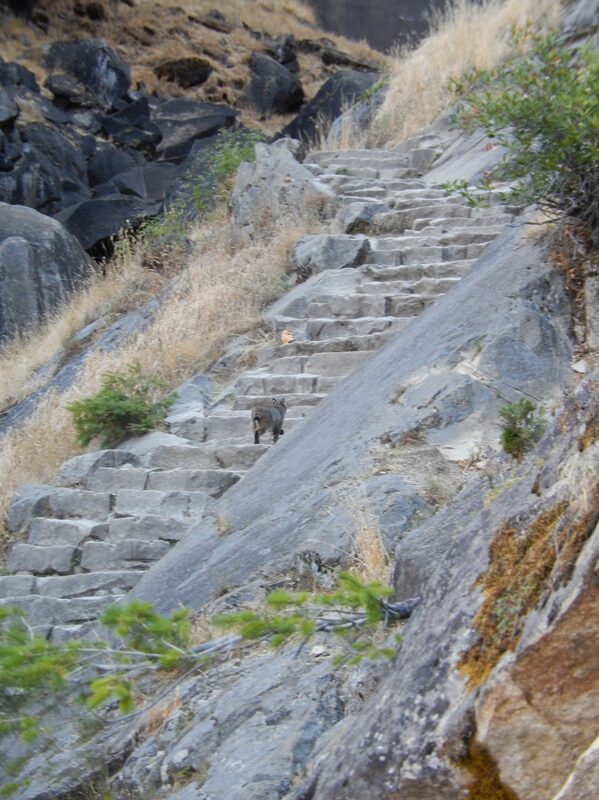 There s/he went, right on up the stairs. 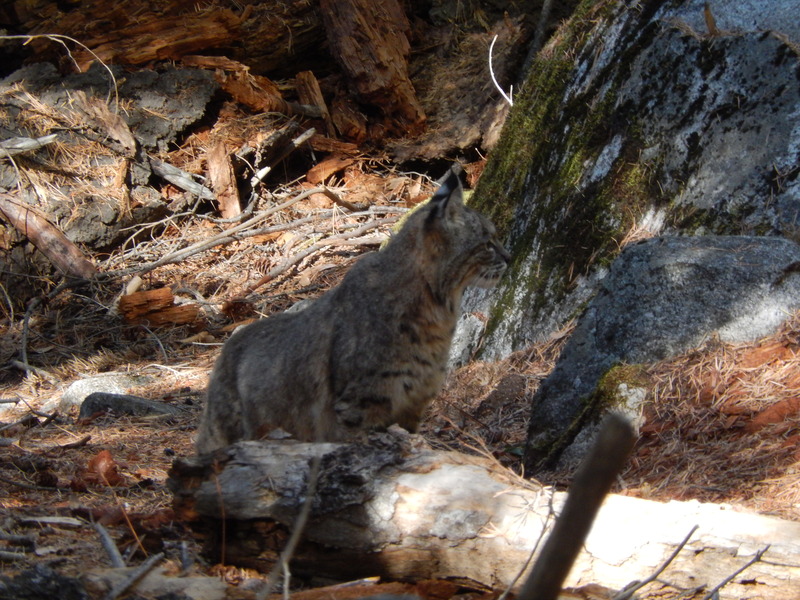 On up to Nevada, I went, hikers stopping and marveling as the bobcat kept on-a-going. 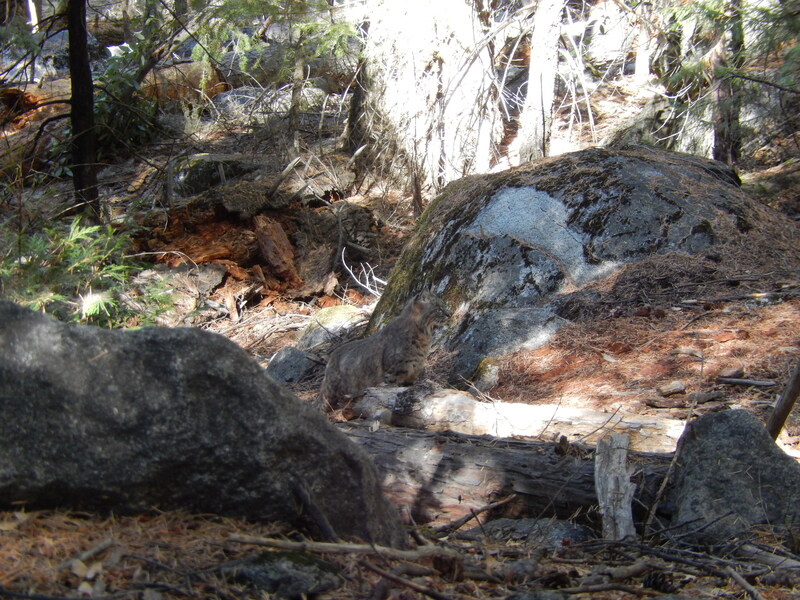 How s/he he got up to the top of Vernal, I do not know. 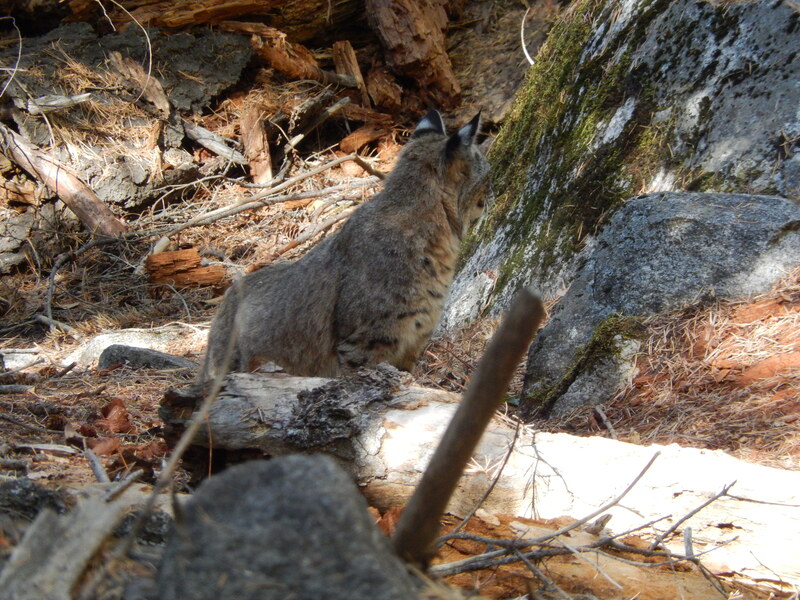 S/he did, though, as a two stellar jays were a-squawking and makin’ a crazy commotion below Nevada Falls, which turns out was them sayin’, “Bobcat comin’ through.” I turned over my shoulder to look at said jays, and lo’ and behol’, there was bobcat. 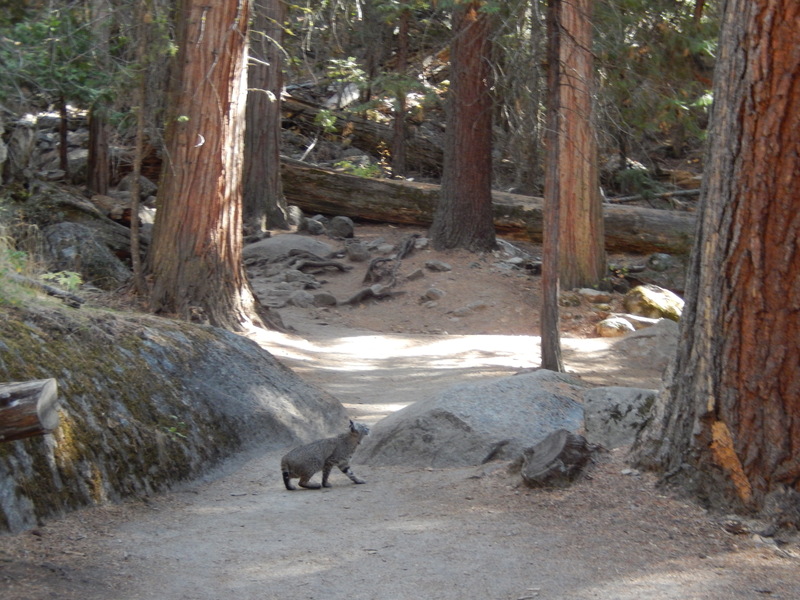 Other hikers were marvelin’ at the site, as was I, but also wonderin’: why is this animal strolling along with the humans? 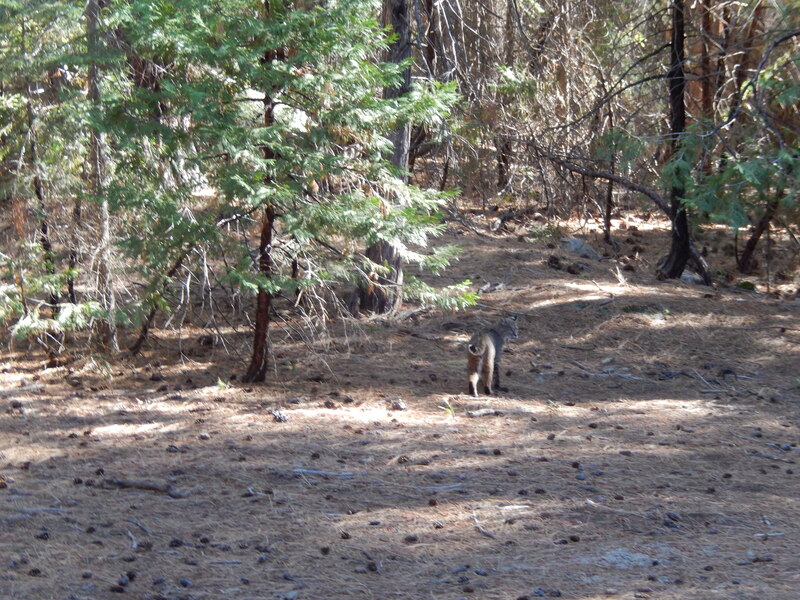 Next thing I knew, bobcat was on the hunt.